To begin with, choosing the right payment gateway is essential for the success of the Dutch e-commerce businesses. Even when your store had the most well-design storefront, amazing products, fast page load speed, etc., if there is any issue with payment on the checkout, the customers will leave. Now, you can easily find a wide range of payment gateways in Netherlands, which can be both pro and con. On the one hand, obviously, you will have more choices when it comes to online payment solutions. On the other hand, it might take a lot of time to figure out which is the best one for your e-commerce store. To deal with that, this article will give you a list of available payment gateways in Netherlands as well as suggest 10 most popular ones. For whom are not sure what payment gateway is, this is the infrastructure that allows the customers complete payment with credit cards or electronic check payments in e-commerce stores. Moreover, most of the payment gateways give merchants the ability to manage transactions, create report and billing. The above list of payment gateways in Netherlands probably makes you confused because of many options. Let’s move on to Top 10 solutions trusted by the majority of Dutch online stores. 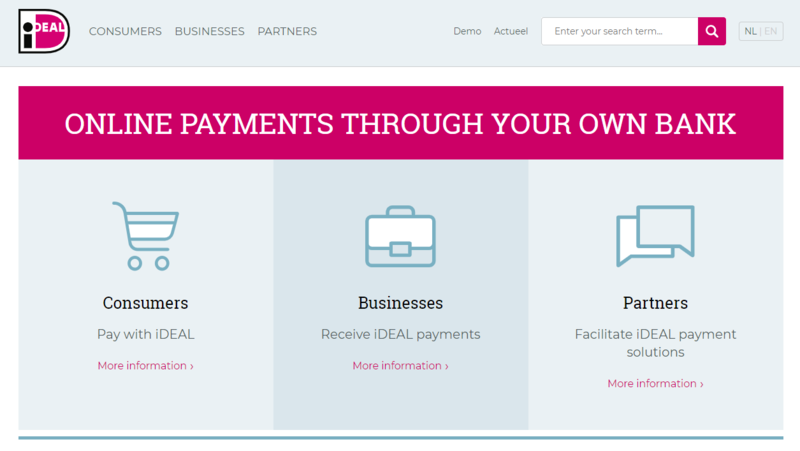 It would be a big mistake without mentioning iDeal payment gateways in Netherlands. 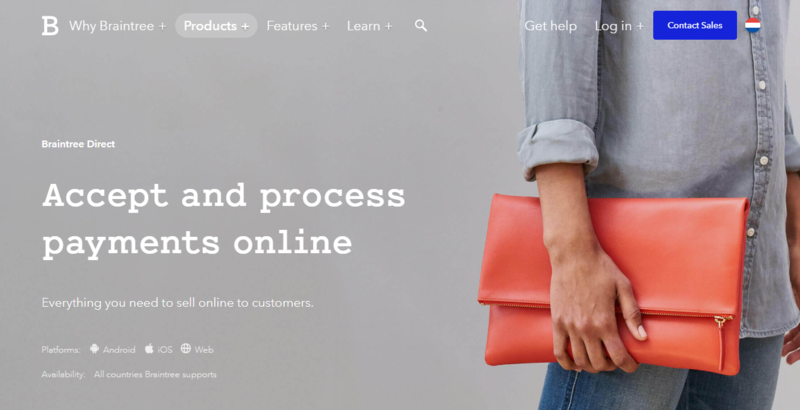 Launched in 2005, this payment system has powered a numerous number of Dutch e-commerce businesses with a reliable, secure and easy way of making online payments. One of the most special things about this payment solution is that it allows consumers to pay online by transferring money directly from their bank account. If you don’t know, iDEAL is an inter-bank system covered by most of the banks in the Netherlands. As a result, customers will have 100% confidence when conducting online transactions to buy stuff online. They can not only make easy direct online transfers but also be able to control their balance and review payments via iDEAL in their bank account statement. If you want to integrate iDEAL with your e-commerce website, you have to agree on a contract with iDEAL Partner. The fee for using iDEAL is not fixed. We only know that it includes a fixed fee per transaction plus a monthly subscription. 2Checkout is another popular payment gateway in Netherlands. 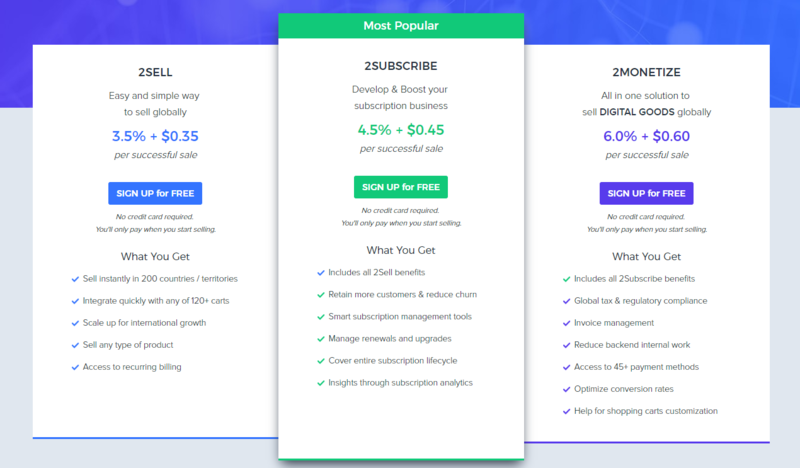 This all-in-one monetization platform enables online businesses to quickly expand globally as well as optimize recurring revenue streams across channels. Now, 2Checkout is providing up to 12 different payment methods namely American Express, Bank transfer, Direct Debit, iDEAL, JCB, MasterCard, Neteller, PayPal, PO, Skrill, Sofort, and VISA. 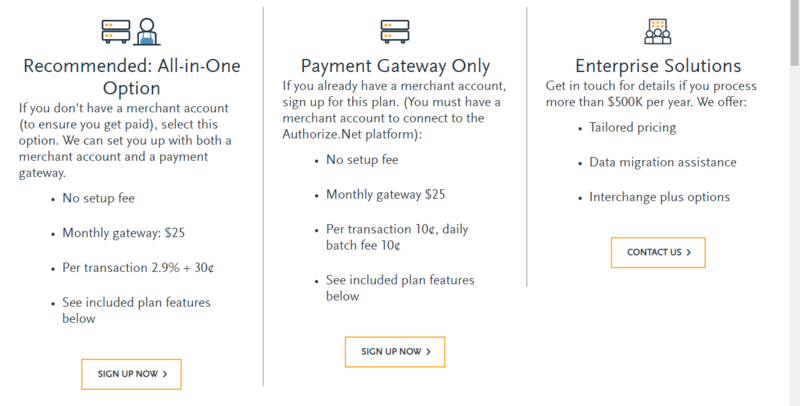 Below is the current pricing of 2Checkout payment gateway. As you can see, they offer 3 plans: 2SELL, 2SUBSCRIBE (recommended), and 2MONETIZE. They guarantee that there would be no hidden fees or extra charges for fraud protection and recurring payments. Nonetheless, in case you need special support, you will be charged a fee to get professional services. Since 2011, Stripe has been widely used by millions of e-commerce companies in over 120 countries worldwide. Its headquarter is in San Francisco with multiple offices in big cities such as Dublin, London, Paris, Singapore, Tokyo, and so on. 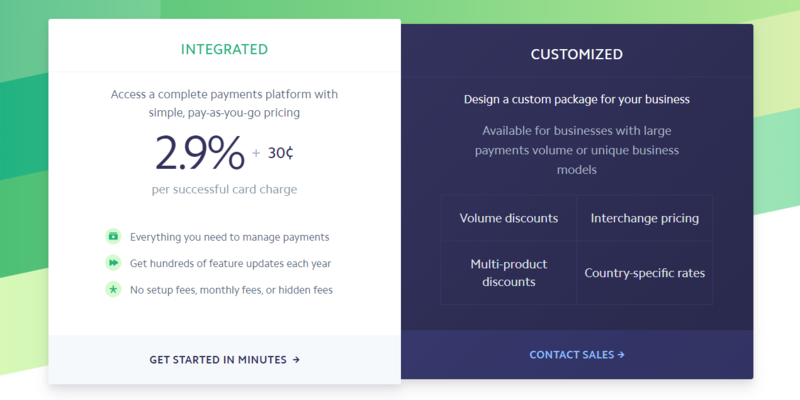 By integrating with Stripe payment gateway, you can enjoy a lot of convenient features: various tools to optimize checkout flow, global payments, comprehensive security and rigorous compliance, fast payouts, financial reporting, 24/7 support, programmatic dispute handling, unified dashboard, recurring subscriptions and invoicing, machine learning fraud prevention, etc. 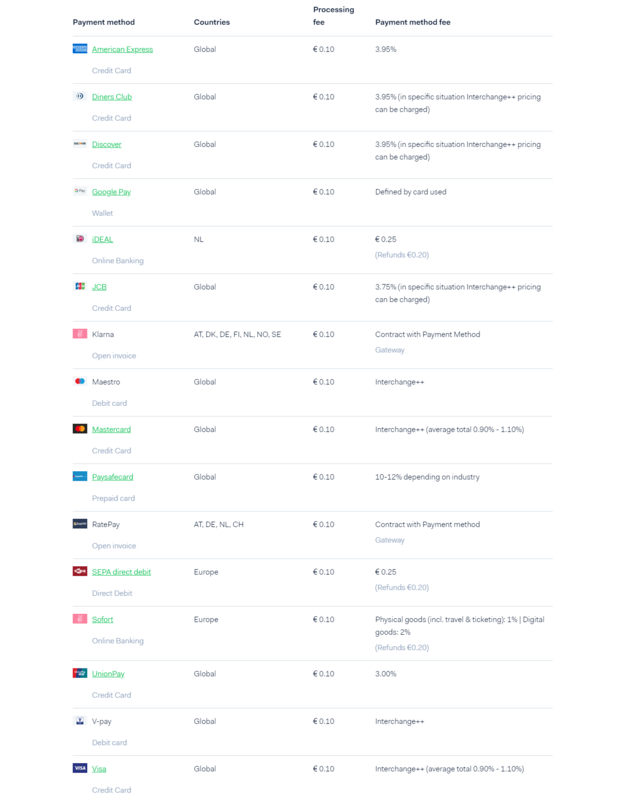 Compared to the pricing of other payment gateways in Netherlands that of Stripe is much simpler. You will be charged 2.9% + 30¢ per successful transaction. PayPal payment gateway is not only preferred in Dutch e-commerce market but also across the globe. It facilitates secure online payments and gives merchants total control over the transactions. Some merchants are afraid that their customers cannot check out since they don’t have a PayPal account. In fact, it depends. If you opt for PayPal Checkout or PayPal Payments Pro, your customer can quickly pay with a credit card or debit card without any PayPal account. Otherwise, if you integrate PayPal Payments Standard, the buyers must have a PayPal account to complete payment. The PayPal pricing in the Netherlands includes Standard Transaction Fee + Fixed Fee (4.2% + 0.35 €). There are no setup fee, termination fee, or monthly fee. 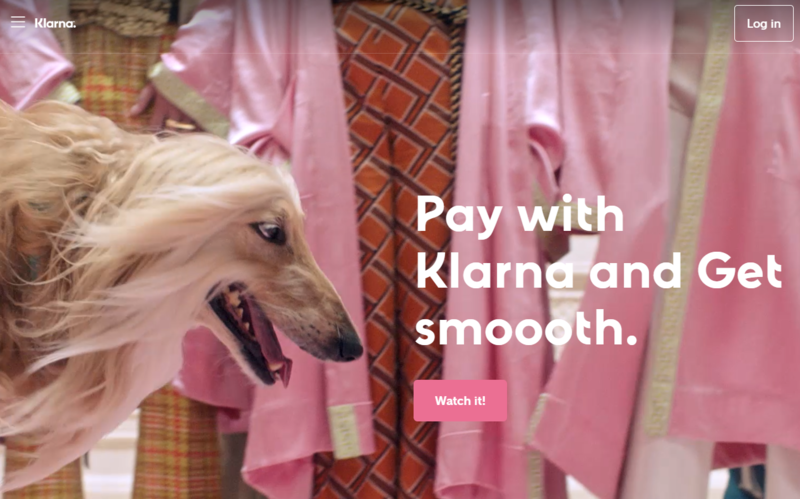 Introduced in 2005 in Sweden, Klarna’s mission is to make online payment simple, easy, safe and smooth as much as possible. Among this list of payment gateways in Netherlands, Klarna is a unique solution provider that allows delay payments on online purchases – Buy now. Pay later. More particularly, it provides from direct payments, pay after delivery options to various installment plans so the consumers can pay when they want to. For the merchants, they will get paid upfront although the customers pay at a later date. What is more, your business is fully protected from fraudulent transactions. Inversely, your purchasers are also protected due to Klarna’s pre-authorization process and buyer protection policies. 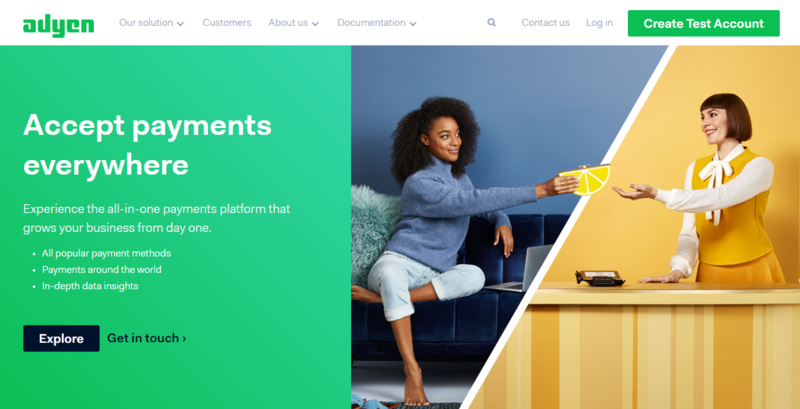 Now, Klarna is delivering payment solutions for over 60 million users across 100,000 online businesses in 14 countries. Provided payment methods: Pay later in parts, Pay later in full, Slice it, and Pay now. Klarna’s customers: Zara, Lenovo, H&M, IKEA, and Wish. 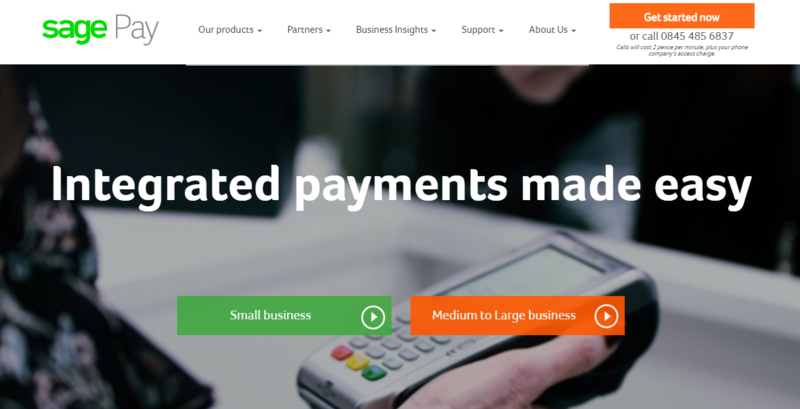 Sage Pay is one of the most outstanding payment service provider in Europe, a trusted payment brands for businesses of all sizes. This payment gateway got the highest level of card data security (PCI DSS Level 1) so it can protect your site against all possible frauds. Sage Pay payment gateway provides a wide range of features such as recurring payments, deferred payments, surcharges, advanced fraud screening tools, etc. at an affordable price. Also, they offer free 24/7 support0 and flexible payment options (starting from £20.90 per month). Founded in 2006, Adyen helped a great number of merchants to proceed payments safely via e-commerce, mobile, and point-of-sale. In the Netherlands, Adyen supports 5 common payment methods including iDEAL, SEPA Direct debit, MasterCard, VISA, and wallet. 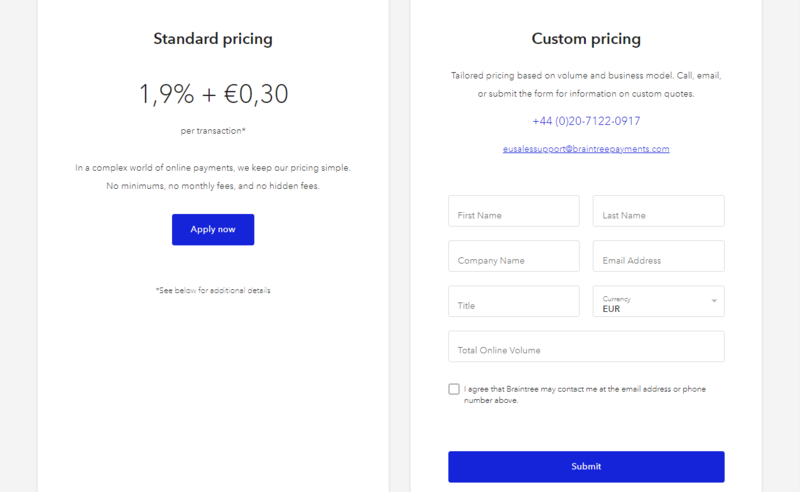 Below is specific pricing of Adyen payment platform. They apply different fees based on the payment method and regions. Founded in 2012, Checkout.com is one of the pioneer online payment solution providers. Checkout.com is built on state-of-the-art technology that is able to handle the payment process with smoothness and transparency. Checkout.com supports a wide variety of alternative payment methods including Alipay, Boleto, iDeal, JCB, Klarna, Sofort, POLi, SafetyPay, and UnionPay, and allows over 150 currencies. Many big brands trusted and used this payment gateway, for example, Samsung, TransferWise, Hopper, Virgin, and Adidas. Different from other Netherlands payment gateways, Checkout.com applied a payment processing called “Interchange fee”, which classifies the commissions collected by card issuers such as MasterCard and VISA. Braintree is a division of PayPal, which specializes in both mobile and e-commerce website payment systems. They offer a simple solution for online transactions on most of the devices and by more than 130 currencies. Up to now, Braintree has been catering merchants from more than 40 countries across the globe with innovative payments technology and flexible solutions. 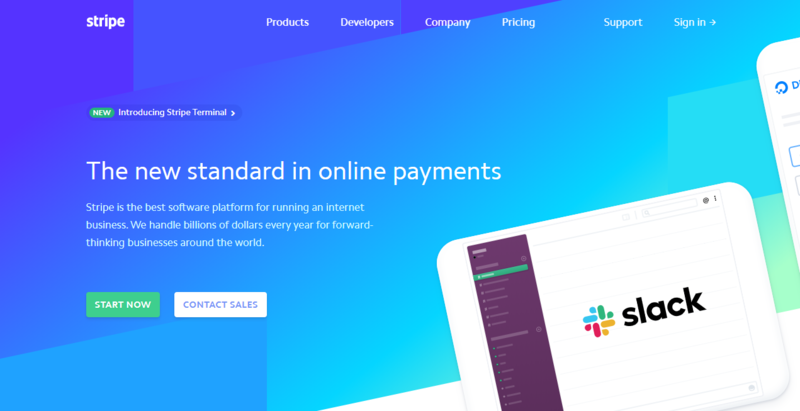 Braintree’s supported payment methods: Credit and Debit cards, PayPal, Venmo, Apple Pay, and Google Pay. 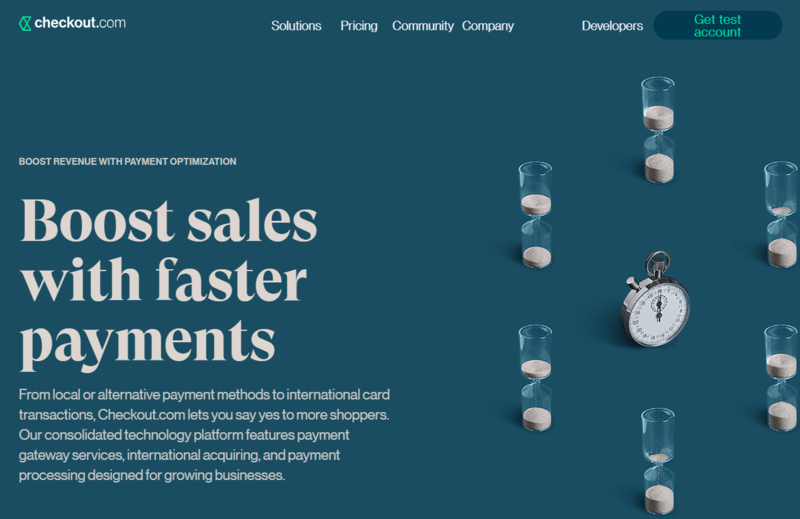 In terms of Braintree’s payment features, you will benefit from fraud protection, reporting, in-store payments, data security, global scale, payouts, and server less connections. The final name on top 10 payment gateways in Netherlands is Authorize.net. This payment solution provider will help us to simplify the online transactions by accepting electronic and credit card payments either in person, online or over the phone. 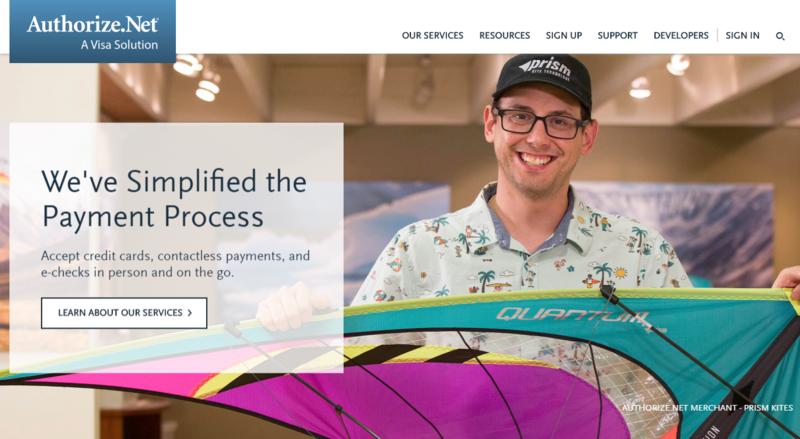 Since 1996, they have served more than 430,000 merchants worldwide with an array of payment options – from credit cards, e-checks to Visa and PayPal. Authorize.net provides 3 plans for you to choose from, which consists of basic features including fraud prevention, customer information manager, recurring payments, invoicing, simple checkout, and several advanced features such as e-check payment and account updater. To sum up, the most popular payment gateways in Netherlands include iDeal, PayPal, 2checkout, Checkout.com, Authorize.net, Braintree, Stripe, Klarna, SagePay, and Adyen. Since checkout and payment is a pivotal part of your e-commerce business, you should spend time finding for the most suitable payment solution provider. They will be responsible to streamline your payments processing as well as help you to optimize your cash flow. Last but not least, if you want to develop an e-commerce website from scratch with one of the above payment gateways integrated, hiring a reliable website development company in Netherlands is necessary.